Dr. James I. Craig, emeritus professor, aerospace engineering, Georgia Tech; author of 150+ technical reports and papers. His research and publications have been in the areas of structural mechanics, dynamics and design. Applications include active structural control, integrated aeromechanical design of rotor blades, earthquake engineering structural analysis and design, and probabilistic response estimation for populations of structural systems. 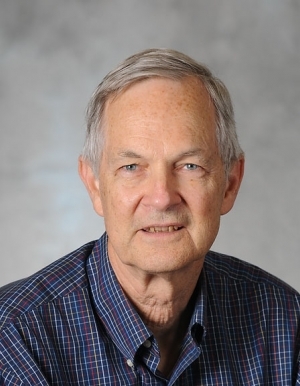 He was responsible for teaching undergraduate engineering courses in structures, experimental methods and software engineering, and graduate courses in vibration measurement and analysis and computer-aided engineering and design. He has extensive experience in laboratory and full scale design and testing of structural and mechanical systems ranging from aircraft to solar energy utilization systems and building structures. His most recent work has involved applications of robust linear and neural network adaptive active control and passive damping systems to various flexible structures including tall buildings where the objective is to attenuate building dynamic response to earthquakes. These nonlinear adaptive methods for structural control were also being applied to the design of spacecraft and space structures. Other related work involved development of a design framework for aeromechanical design of helicopter rotor blades where blade cross sectional geometry is synthesized to meet aeromechanical (structural dynamic) design requirements. Dr. Craig was also a faculty investigator in the NSF Mid America Earthquake Center where his work was focused on formulating probabilistic methods for assessing the fragility of buildings in vulnerable areas of mid-America and on developing passive control and response modification methods for fragility improvement in both old and new construction.